The PYMNTS.com® Internet of Things Tracker, sponsored by Intel®, showcases 80 top companies that are leading the way in all aspects of the Internet of Things. Every month, we take a look at what these companies are doing across the ecosystem and in six categories: Devices; Infrastructure; Payments; Security; Software; and Data. Profiles of nearly 100 players across the IoT industry, including nearly a dozen additions. An exclusive interview with Hilary Jensen Wade, co-founder and CEO of Obe, about how the company’s smart pet food bowl has integrated Amazon’s Dash Replenishment Service. 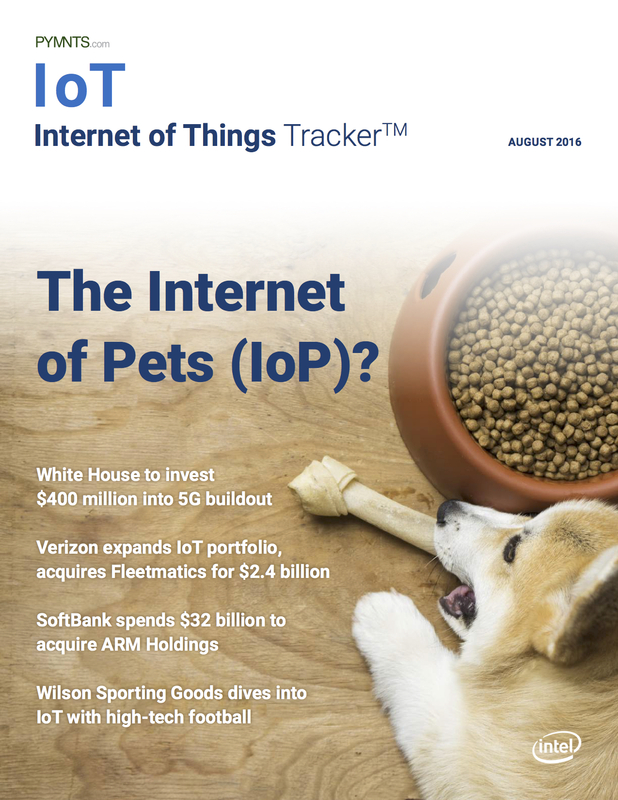 News stories highlighting the different segments of the IoT space.